Democracy in America — and here in Alaska — is at a crossroads. Let’s choose the right path. "Cabaret": It was a terrific show, wasn't it? Full of musical invention and the movement of people, both in dance and the swish of expressive walking, the crafting of character — it was all good. But did you get the accompanying theme of pending disaster as the democratic republic of Weimar Germany in the 1920s began crumbling under the pressure of Nazism — while everyone was having a good time? Did you catch the desperation with which the hero tried to extract Sally Bowles for a return to America, and her laughing rejection? She was having too good a time. Did you for a moment think that there was a whiff of resemblance to our time, ever feel any anxiety or foreboding that not this but something like this might be happening in America? In some ways, this is nothing new. The unquenchable quest for power will always push to degrade democracy. So something is happening. As has been the case since democracy was emerging in the time of Solon, the people must always push back if democratic institutions are to maintain their full life. Maybe in Alaska we can make a start for America, set an example of pushing back. Why do we have a sense of decay? Gerrymandering? The rise of sophisticated television propaganda? The disguised big money donors? The cynical and ignorant dismissal of the process by so many people who don't bother to investigate or to vote? I concede that there is some justification for a skeptical perspective. Now a successful run for a state house seat requires a strong media campaign going for $80,000 and up, statewide seats are in the millions. Most folks can't possibly afford this. If they can, the question is: Do we only elect the rich to public office? No, few are rich. Campaigns are run on contributions and contributors expect a payoff. What can be done to fix this decline? The most serious problem is education. Our public education system was set up almost two centuries ago not just for the "three Rs" but in large part to teach American children the values of our democratic republic and how it works, to make them citizens. The abysmal knowledge and interest of the average school graduate today is appalling. Our children don't seem to know how the functioning of democracy affects their lives, its impact on their future employment, health, family life, everything — even their possibility of dying in warfare or, less noticeably, from failures in safety management. What's specifically to be done here can be left to the teachers. Our job is to listen and back them up. The job left more to the citizen is to fix the mechanics of the system: The subordination of voting as an ingredient of the market system is all but complete. The Supreme Court has made fixing this almost impossible, but not quite. Starting with Buckley v. Valeo in 1976, free speech rights allowed a millionaire to spend as much as he or she wanted to get elected. More recently, the court has said, in a more troubling decision (Citizens United 2010), that a corporation has the free speech rights of an individual. That decision opened a floodgate of special-interest funding of election campaigns, particularly through glamorous corporate titles which disguise the real contributors. We have been lucky here in Alaska. The population of the state is the third-smallest of the United States. At the time our constitution was written, it was less than a third of that. A legislator had a pretty good chance of getting to know a majority of his or her constituents. Campaign budgets were in the hundreds of dollars, or even lower. Now our legislators are creatures of the financing system and have little interest in changing a system in which they have succeeded, for most a livelihood with good retirement benefits. But there are niches for public improvement short of constitutional amendment. One of the justices in Citizens United noted that "corporate democracy" can fix things. Maybe this means shareholders can be given the right to vote on contributions? Disclosures of sources, as now practiced, are a mockery of regulation, using tiny print, hurried acknowledgements and covert donors. 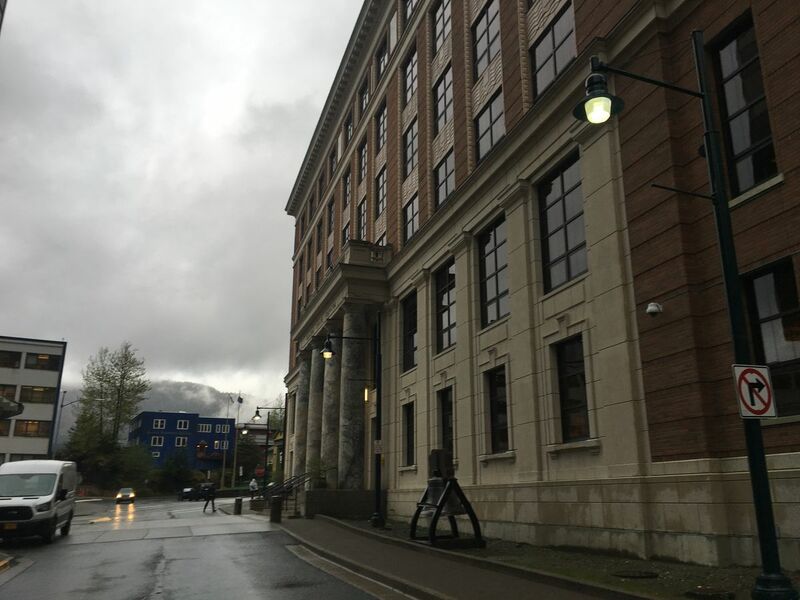 Alaskans also have a tool to correct issues the Legislature is loath to touch — the initiative process. The original sponsors of a proposed initiative can fix flaws in an initiative by allowing for hearings and public input before putting the exact language to the lieutenant governor's office. Another tool is to focus on electing legislators and governors not by their propaganda, but by their specific commitments to focus on repairing the democratic process in our state and country. Please don't let a vigorous democracy slip away because you are having a good time this year, like Sally Bowles.